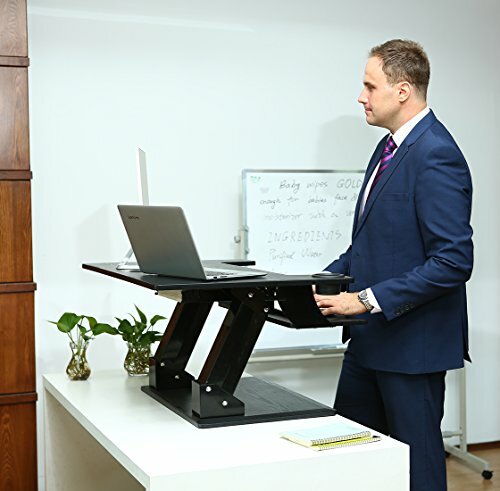 Ergonomic Design: our workstation can be adjusted from sitting to standing position in seconds, with which you can choose stand or sit throughout the whole hard working day. Easy to Use: fully assembled and ready to use. Squeeze the handles under the desktop to adjust height. 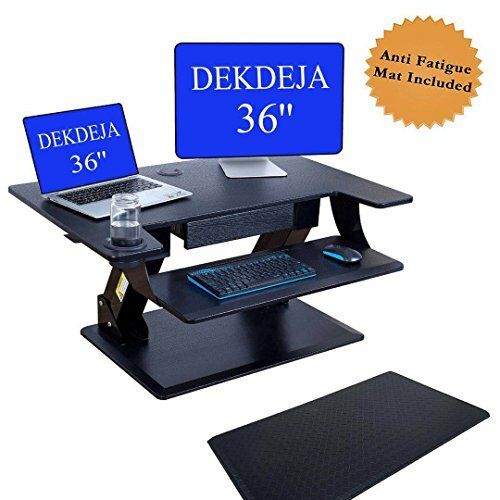 Ideal for those who use computors all the time. Anti Fatigue Mat Included. 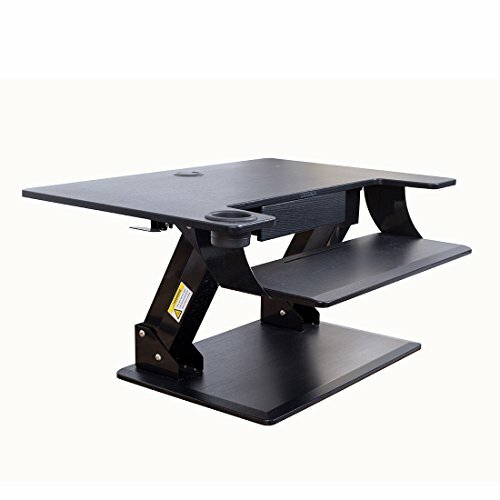 Study and Durable: aluminum steel frame to support weight up to 80 lbs. Well-finished wood desktop, easy to clean. Extra drawer design for pens, sticky note, etc. 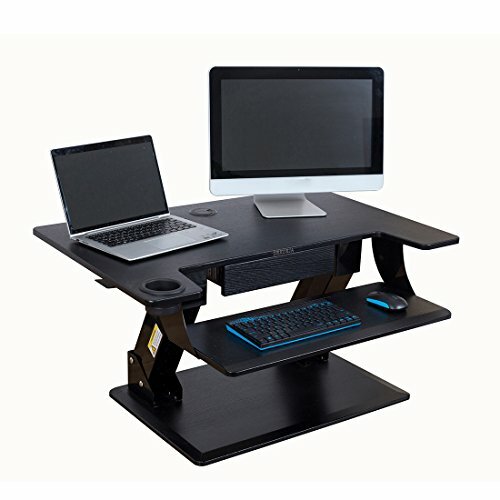 Compatible and Versitle: our workstation can be use for 2 monitors or 1 laptop and 1 monitor. 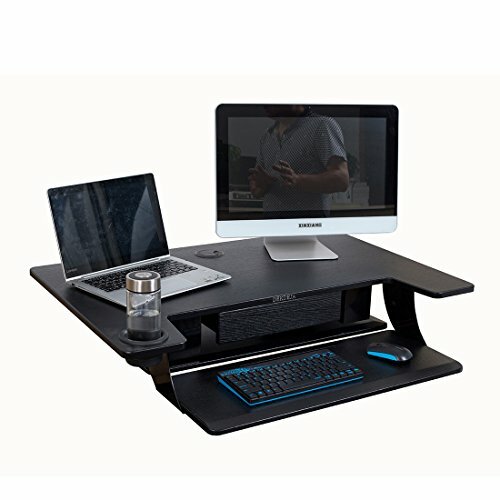 Unique keyboard tray and cup holder to make your desktop more well-organized. Satisfaction Guaranteed: Love it or your money back. 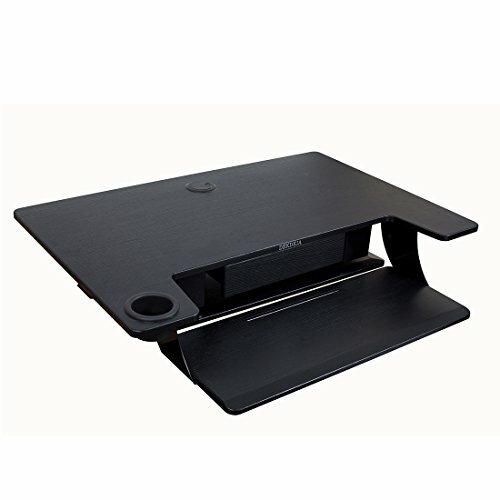 We’re confident with our adjustable desk, if you’re not happy with your purchase, please contact us and we’ll sort it out for you in 24 hours.